"Blue is the only color which maintains its own character in all its tones... it will always stay blue; whereas yellow is blackened in its shades, and fades away when lightened; red when darkened becomes brown, and diluted with white is no longer red, but another color - pink. " It's been said that Dufy never painted a sad picture, for Dufy's particular brand of modernism was unhampered by doubt or strain. Rather, it expressed the most optimistic aspects of the 20th century with wit and style. Dufy's discovery of Fauvism in 1905 was a revelation, and helped him to free color and line from their mimetic functions; his subsequent encounter with Cubism would inform his dynamic Art Deco fabric designs, employed by such famous couturiers as Paul Poiret. By the 1920s, the artist had settled upon what would become his hallmark stenographic style, combining deft and spontaneous outlines with broad and boundless areas of vivid color. 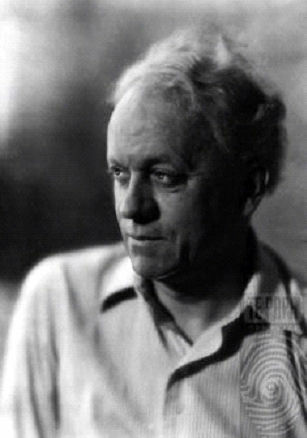 He would further adapt this style in several large-scale public works from the 1930s, as well as in a series of paintings devoted to famous classical musicians at the end of his career. Even the great modernist writer Gertrude Stein was lyrical about this quality of his art, saying succinctly: "One must meditate about pleasure. 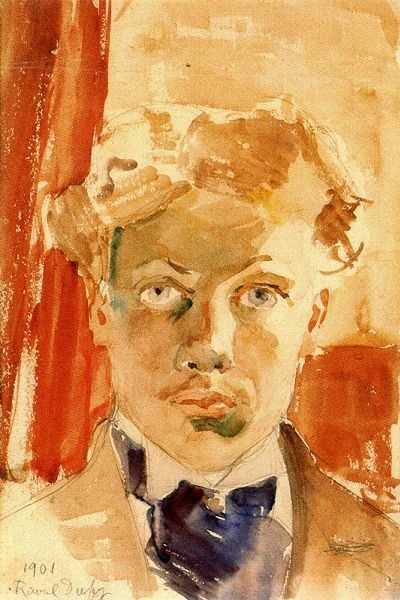 Raoul Dufy is pleasure." Dufy's unique interpretation of Fauvism, which he adopted after 1905, was to marry the movement's avant-garde formal principles with a decorative aesthetic. His use of spontaneous, expressive lines and intense, non-naturalistic color can be seen in his many pleasure-filled images of regattas, horse racing, and outdoor leisure activities in France. In addition to his work as a painter, watercolorist, and printmaker, a major component of Dufy's artistic output was his work as a textile designer. Beginning in 1909, Dufy created colorful block-printed silk and cotton fabrics featuring the dynamic geometries and exotic motifs of Art Deco. Dufy's designs were used by the most famous haute couture designers of the time, and have been hailed as some of the artist's most enduring and popular artistic achievements. 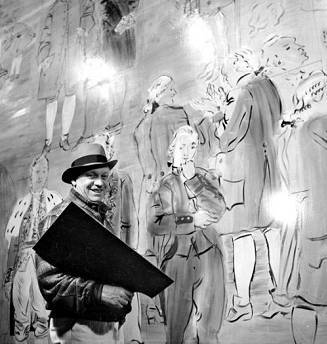 Dufy worked on a number of large-scale public art commissions during his career. With their combination of modern and allegorical subjects rendered in exuberant outlines and hyper-intense colors, these monumental works represent the artist's successful modernist take on the classic mural tradition.